It was slowly going to end the final week before I headed back to the West Coast. I wasn’t prepared to leave especially after creating so many fond memories here in the big apple for such a short time period, utilizing transportation by every means of travel (from airplane to on foot), meandering through the sleepless nights and days discovering what it means to be a busy-body New Yorker. 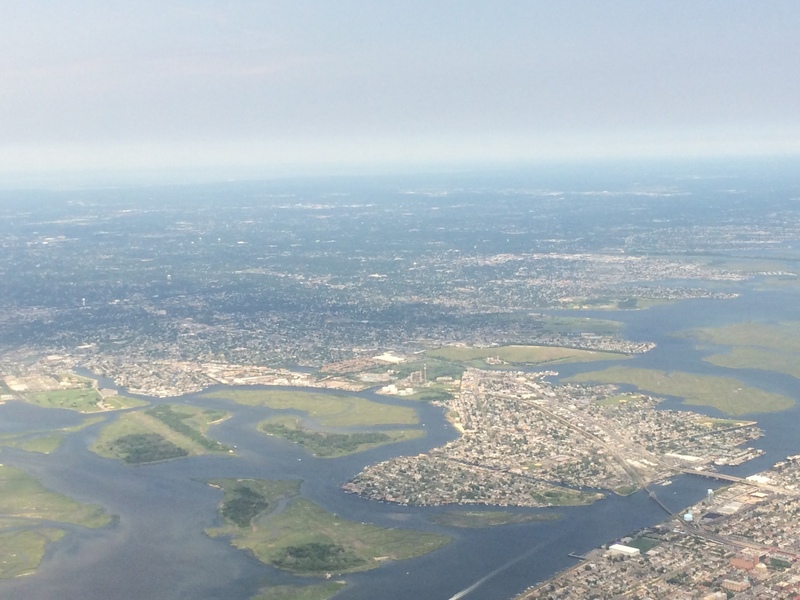 It was a Tuesday Afternoon and a sweltering one as an NYC Summer finds as the norm. Not very Jacket friendly and as we crowded the F Train, the humidity, crowd, and claustrophobia can settle in for many folks. 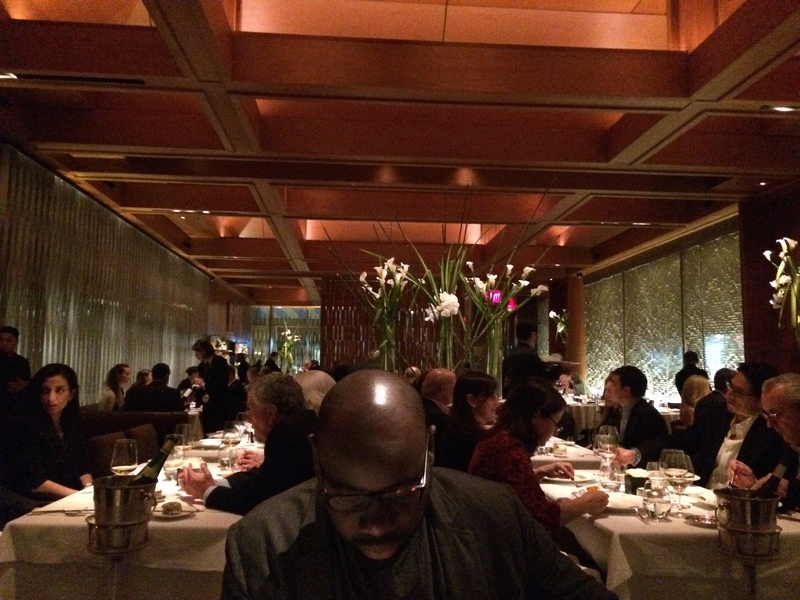 I didn’t know what to expect when visiting Le Bernardin. Sure, he’s a Celebrity Chef, BFFs w/ Bourdain and above all else the Prince of Seafood on the East Coast. Given my tight budget this visit, I felt a little more excessive than it needed to be. I had to keep my promise to you all and I did just that, to follow through and share my thoughts…. We walked the fine streets of Midtown on the West Side. You can stumble along the Avenue of Americas and go for a detour to visit the highly popularized MoMa (if you feel compelled to). Going inside we were greeted by a hostess for confirmation of our reservation. Formal dress code and jacket attire enforced, (although I wish they allowed business casual just this one time). Escorted to our chairs, we awaited our physical menus to be reminded of what was being served tonight. Prior to attending this dinner the person presiding over the menu for the evening was originally his Sous Chef. However we were lucky enough to have Chef Ripert behind the helm of the Kitchen Flow, so things were to go the way they should be at this restaurant. 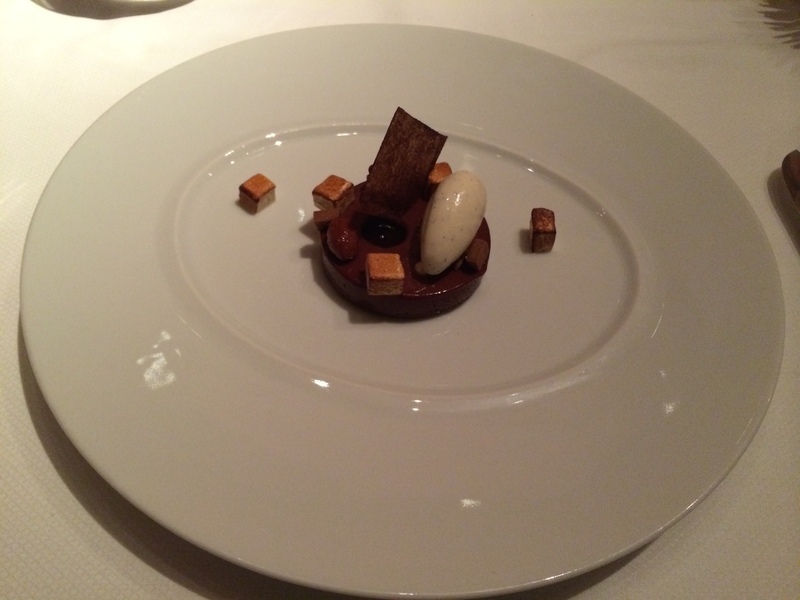 Going to a place after they reach the peak of their Michelin Star success is always a gamble. Sometimes they elevate and push their experiences much higher, whereas some remain a bit stagnant and lackluster from which it once had. 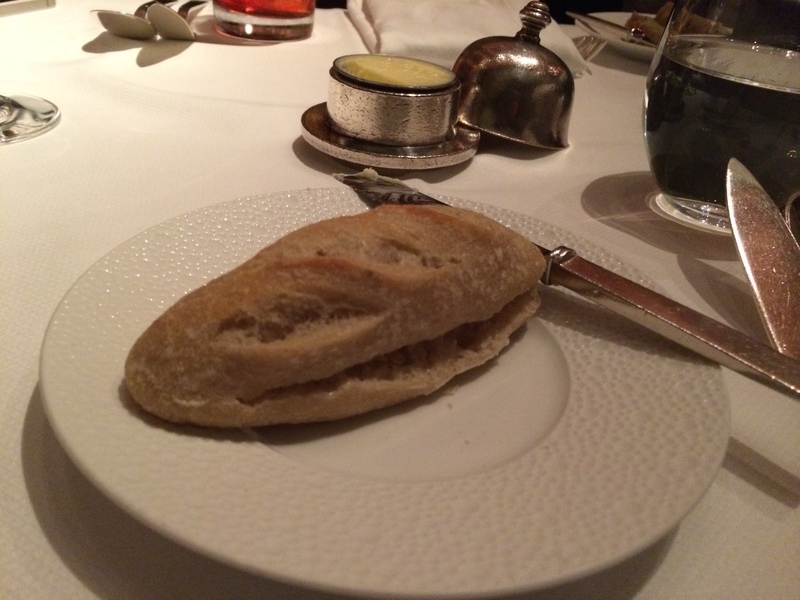 French Bread for a French Meal: Oui oui! The bread had a nice crispy exterior with the inside being moist and airy; most folks who dream constantly of baguette binging remind me that is the perfect contrast of a baguette: Heaven in a long yard stick with a Frenchman’s solar touch. 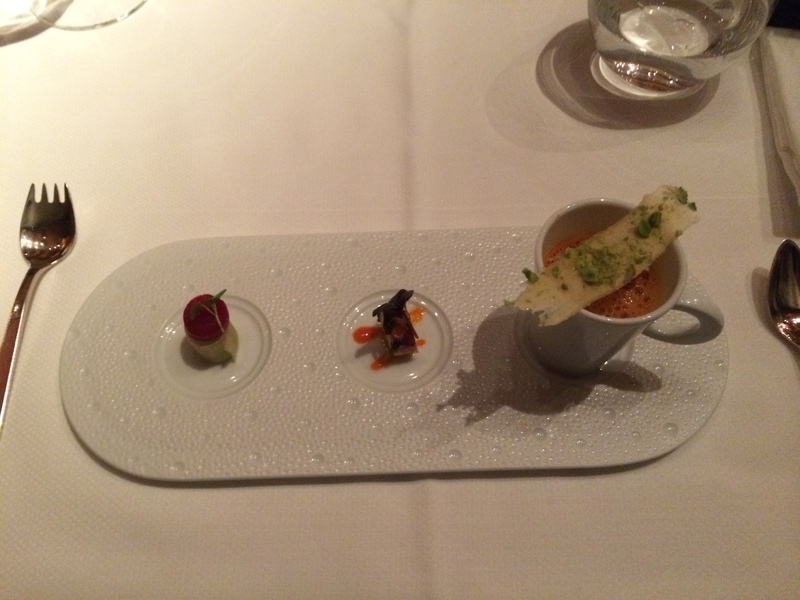 Like all meals that I’ve had in the past most places serve an Amuse (or Amuse Bouche; Amusing Chef’s Bite, to start with the experience). The whole moniker to remember is the “Fish is the Star” so my expectations of anything beyond Seafood were but a dwarf’s reach. That isn’t to say I was pessimistic of the more savory and sweet offerings, just a little bit more thoughtful of the direction as a whole. 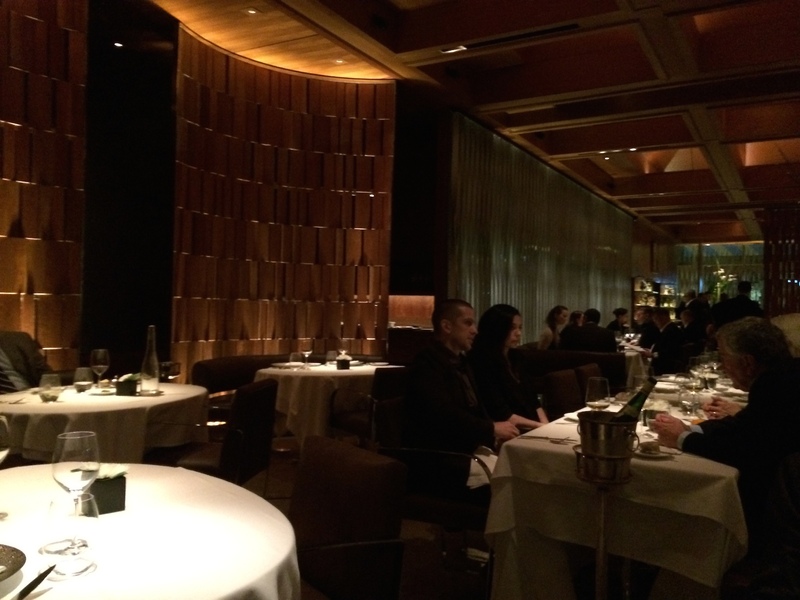 They offer two different types of tastings as listed on their website: Chef’s Tasting and Le Bernardin Tasting. 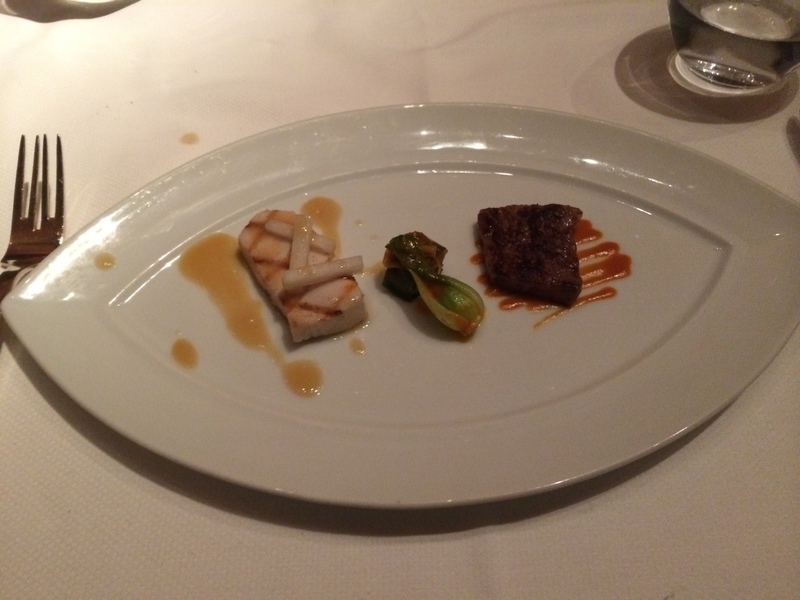 I wouldn’t travel across the country just to get a subpar experience, then again maybe I am being cheap not to go for wine pairings as they are “supposedly” what defines a true fine dining experience to all the culinary snobs/gourmands/reviewers and the like. I do stand by the notion that, if your food is fresh, highly refined, executed with confidence (highlighting layers of flavors and combinations) you’ll win, EVERY. SINGLE. TIME. Before even biting into the raw components of the dish, I had to soak up the broth to get a feel for the combinations. You know those candy Sour Warheads? Think of like that, but with a shot of caffeine to wake you up. Something about Apple and Ginger coming together to smack you across the face, (“Sacre Bleu!”) The clam is soft and gelatinous while the radish helps offset the acid. There were bits of sourdough crirps inside to add a texture contrast, nice start to the dish. For those highly interested in the alternative version of this third dish you can click here (which has a citrus emulsion instead)…. This second dish had a bit of heat and salt foreplay going on with my version of the emulsion. 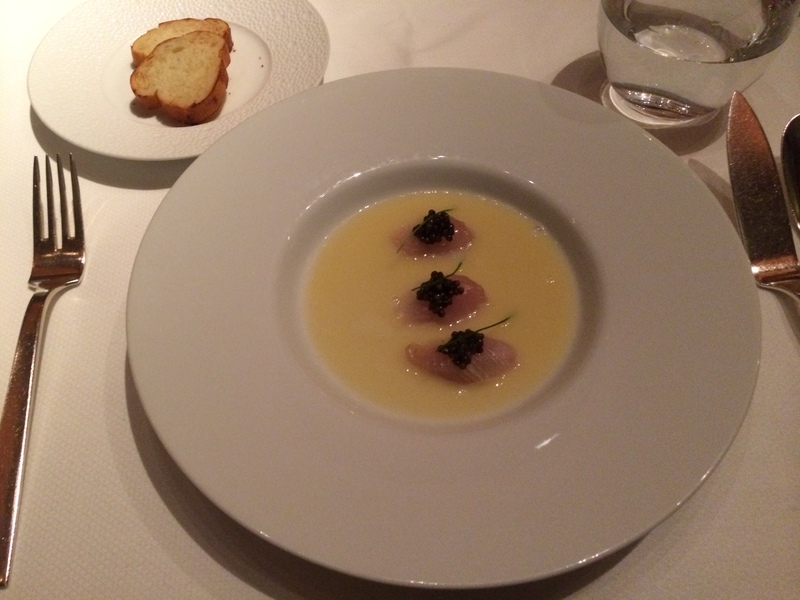 The Ossetra Caviar did its job adding the salt whereas the Chive Cuts were heavily savory due to the broth. 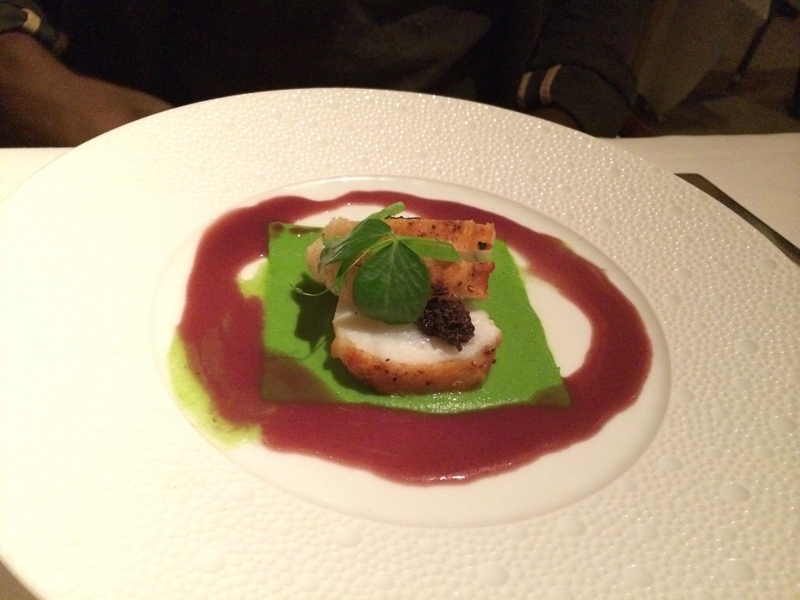 The fish, I can’t really complain, it was cooked to perfection (nothing dry, soggy or gritty). 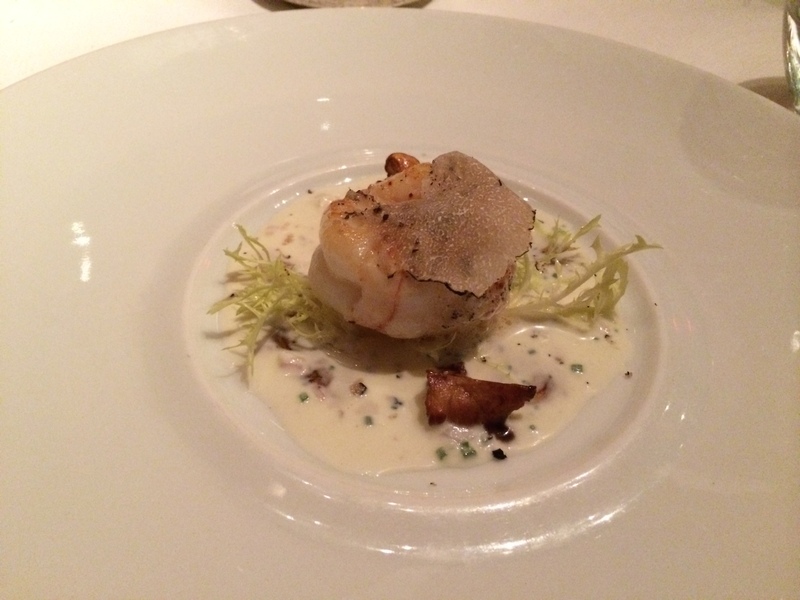 For most folks (including those with tenure at Le Bernardin), this is old faithful, classic and the very dish that institutionalized the standards of this place. 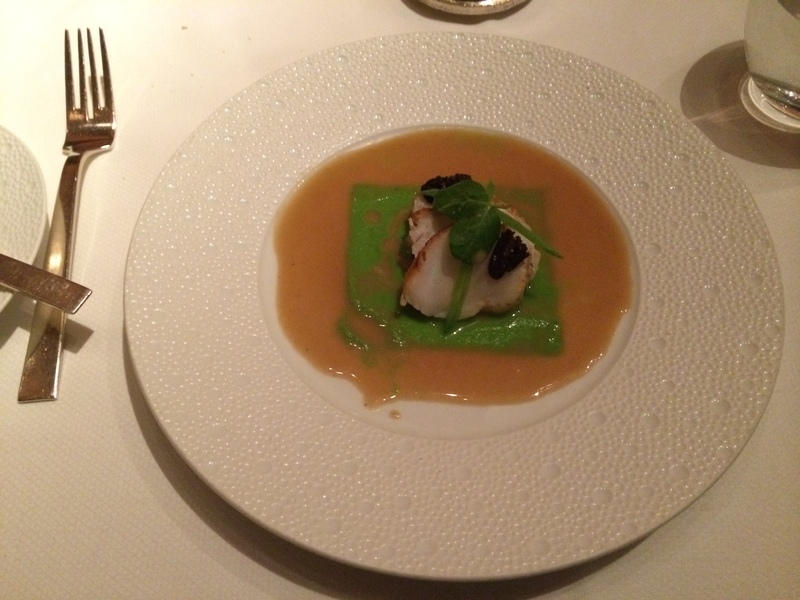 Having been served since the creation of said restaurant, it wouldn’t surprise me if Chef Eric Ripert can do this dish with any handicaps considered. 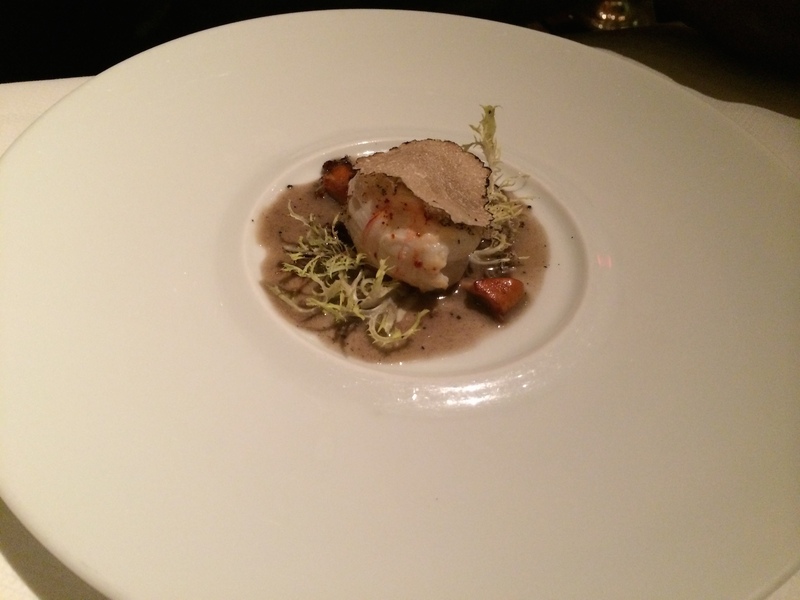 Everything came together like an Italian Opera on opening night, there were no fumbles or missteps, just pure harmonization between balsamic, creme fraiche, truffle and langoustine textures. You need to HAVE TO try this plate at least once in your life before you die. I usually hate frisee with a passion, it’s like the perfect throwaway garniture (garnish) to present on a plate. Put it on there and its supposed to look like corral reef and you should be ok with it, swimming on whatever broth is soaking underneath. I’ve hated frisee since the beginning of my culinary exploration. However it cannot be avoided and for once it actually served a purpose beyond a mere “throwaway” garnish. Number four, was meant for an underscore (get it? no? Darn). Underwhelming is probably the keyword to this particular dish. 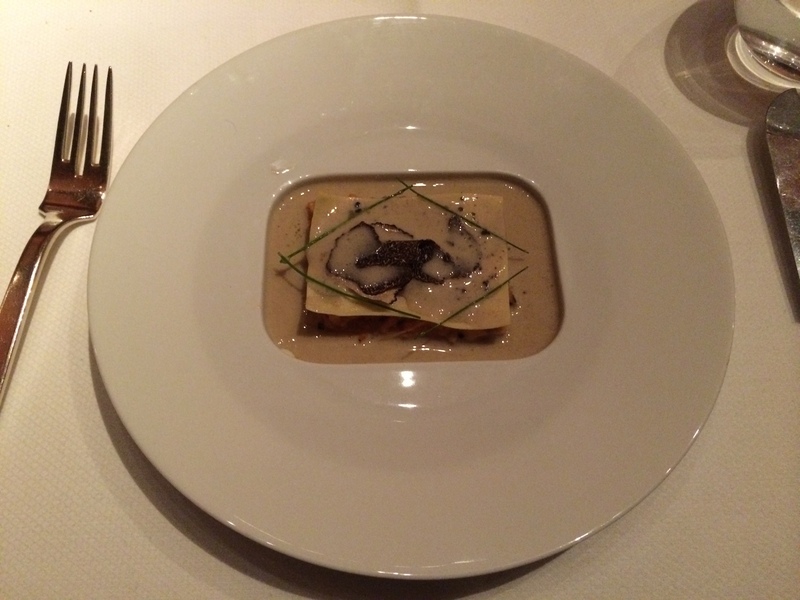 Yes, it looks like Lasagna and retained plenty of the textures and flavors of lobster and truffle. But I wasn’t really excited with this dish at all. I couldn’t really determine if my palate was overwhelmed at this point or the sauce fell flat for me especially with the inclusion of celeriac. Nothing says a quick intermission than bread, I can’t help but make it obvious and it took a little for our next plate to come through during the course of the meal. 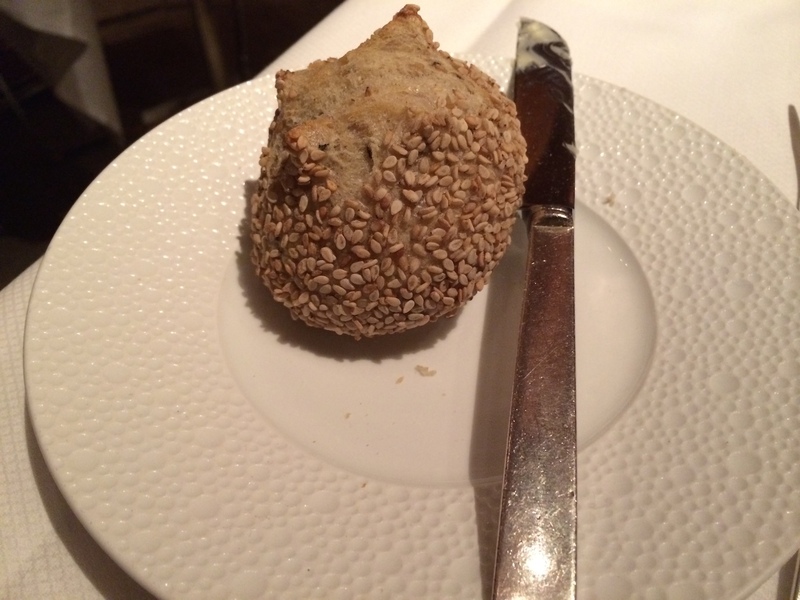 Again the bread was moist and obviously laden with sesame seeds so there’s nothing much to say beyond this. Before I introduce this next dish, feel free to take a glimpse at the alternative (which I believe the sauce was a ginger emulsion?? )… Anyway as I dive into this next colorful plate. I have to say, monkfish and I are like the friends that always say what’s up to one another but never really kick it (if that makes sense?) The reason I place such an obscure description with this fish is because I’ve had numerous pieces of ankimo (monkfish) from all the Japanese sushi restaurants (mid-tier and top-tier) and the quality was just all over the place. Textually, if cooked well it was pleasant (and by that I mean none of the grainy texture). This particular dish had a perfect contrast of crispiness on the crust with a moist interior. The pepper sauce was a bit underwhelming (lacking conviction) unless it was thoroughly mixed with the puree. These morel mushrooms (spongy as ever) invaded the monkfish’s personal space (getting all up in the grill). Whereas the tarragon was barely noticeable both in scent and in taste. This next dish served as an ode to the Pacific Ocean, a mix of Korean and Hawaiian elements making its debut table side. 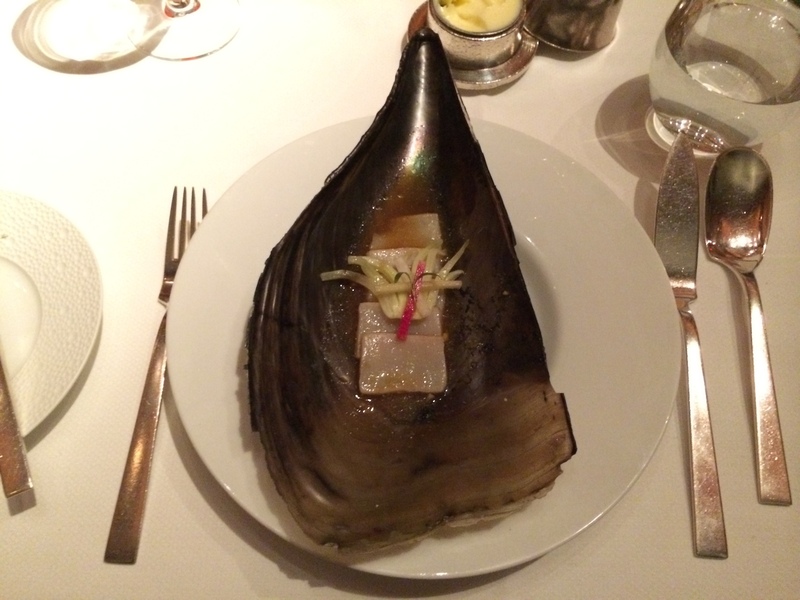 Initially, I was a bit hesitant to try escolar due to a harsh allergic reaction at a Southern California restaurant a couple of years ago. This particular preparation brought a balance to the meaty fish of sweet and salty characteristics, giving way to the kimchi (holding the surf and turf together), with spicy and tangy notes (no sour ones surprisingly). Lastly, the Kobe beef seared into savory perfection, no complaints! Let’s start with the alternative desserts. When I sampled the first one, everything was sour and fruity. Think a fancy deconstructed Starburst full of everything that can make your lips purse for more than a minute. As for the second one, it reminded me of a Coconut Malibu Rum cocktail with shards of macaroon cookies disguised as styrofoam. You can’t help but feel nostalgic of the island atmosphere, charged with a Jason Mraz (I’m Yours) touch. 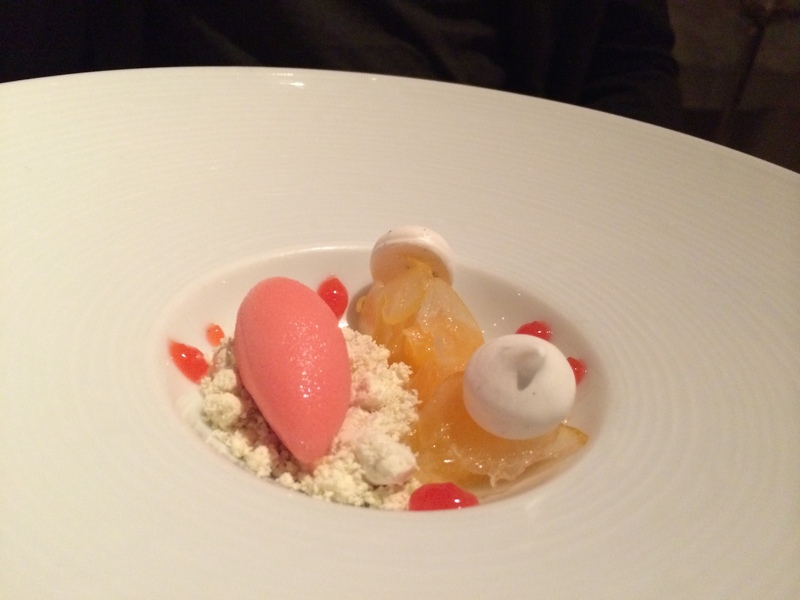 The first actual dessert dish had a bit more tart than the sweet Starburst-ful cousin. Migardnise: Looks eerily similar to Commis’ doesn’t it? However I was slightly disappointed the pistachio financier didn’t serve it’s given purpose; it was intruding on the tart elements of the fruit and should have been provided as a cream or a regular financier without the nuttiness. The s’mores, on the other hand, played off one another quite nicely. Dark chocolate and toasty marshmallows wrapped up with cinnamon taking center stage. The cinnamon part wasn’t my favorite, think Kanye West in spice format trying to take the stage at the center of the plate (you didn’t let me finish and you had to bring your spicy attitude into play). Alas, we have finally reached the end of our meal. My friend had nothing but fruit gels whereas for myself, I had this awesome foursome. 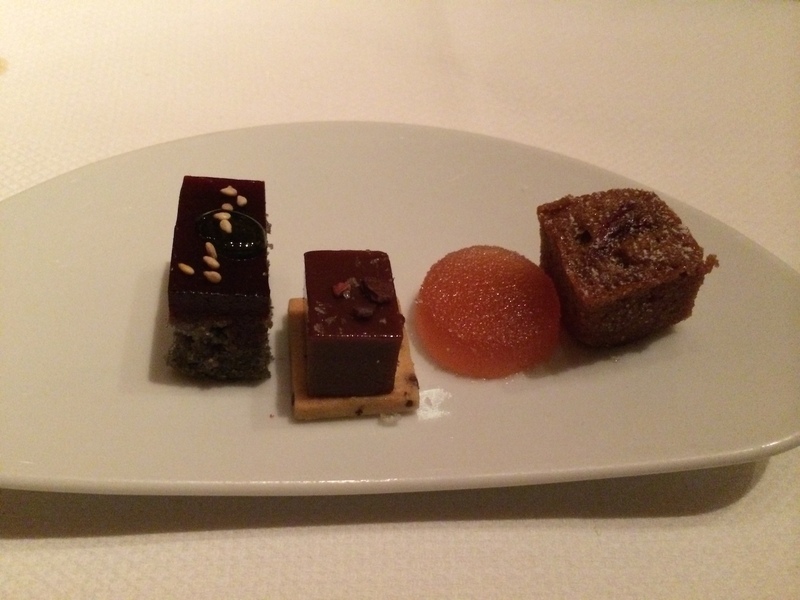 Eerily similar to Commis’ offerings, the sponge cake and sesame gelatin was alright (on the far left). The sticky caramel and crispy bite (2nd from left) worked nice. My only fruit gel (peach flavored) was tangy but I was indifferent to. 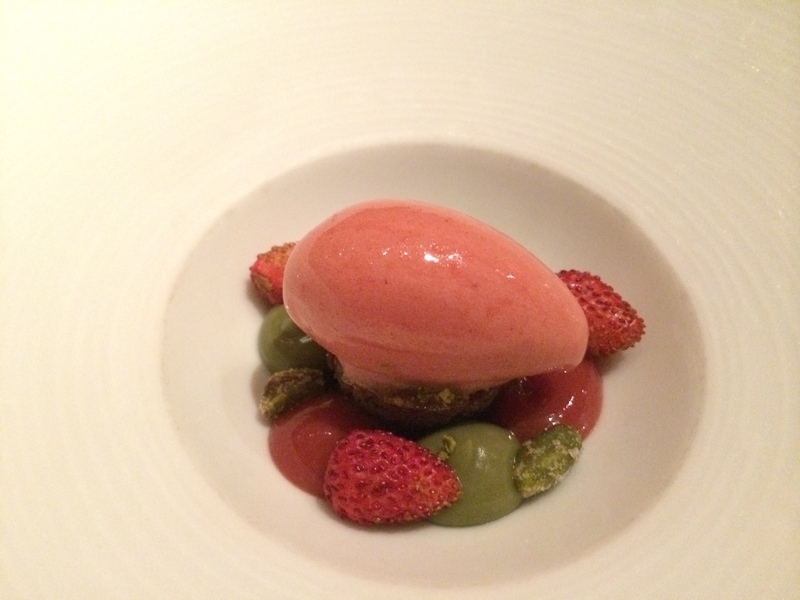 Whereas this last financier felt out of place and should’ve stuck with the sorbets. 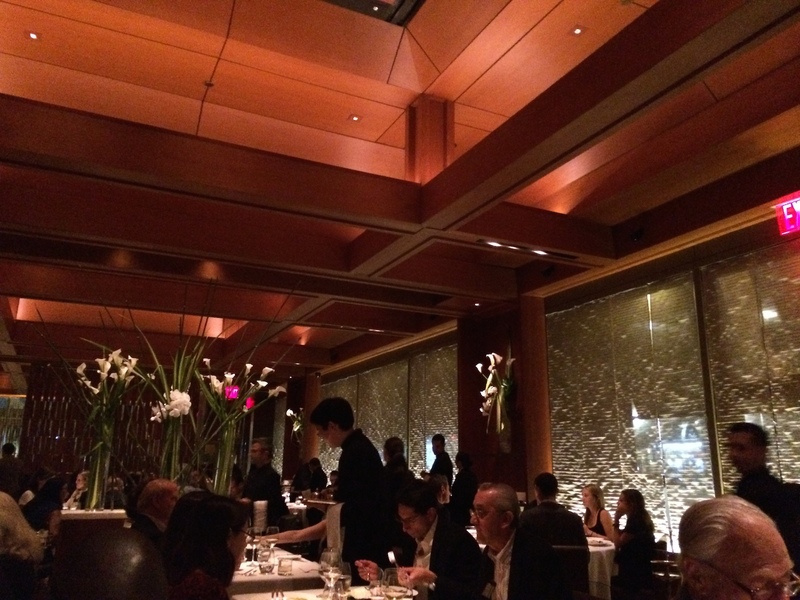 The restaurant flow was smooth for the most part and I told one of the servers to thank Chef Ripert for the delightful meal. When we left the restaurant both myself and my colleagued felt pretty fatigued. Perhaps it was the summer NYC humidity, sleep deprivation or the combination of the two but we finally made it through this iconic experience. Was it worth all the trouble to get a sense of Bourdain’s BFF’s culinary vision? 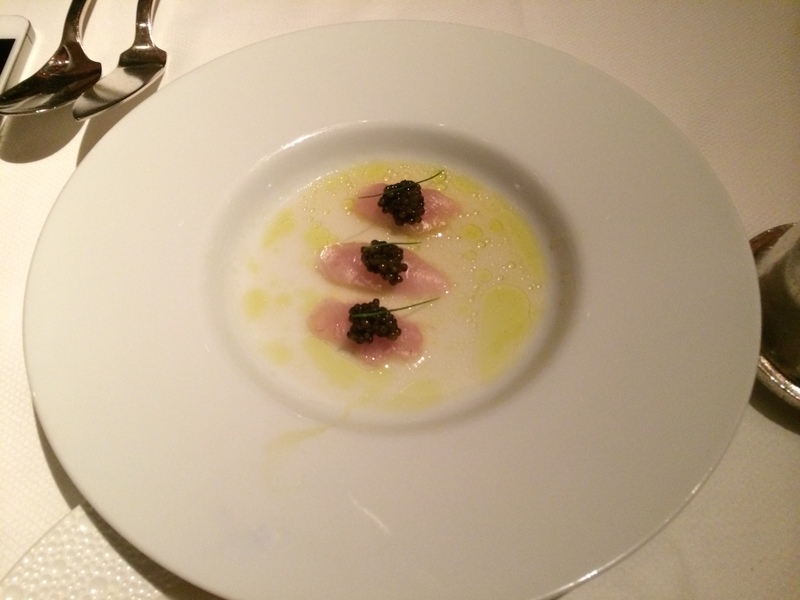 Yes and no, in the sense that if you had the extra money and you’re definitely a fan of Seafood and Mr. Ripert it’s probably worth the experience. 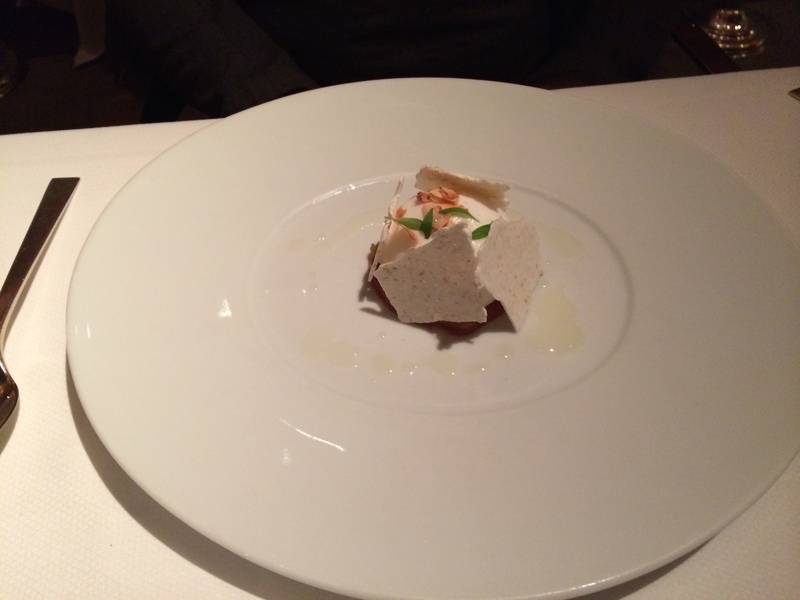 As a veteran dining enthusiast, I would say it’s definitely notable of two Michelin stars but a full trio… I’m definitely in disagreement considering the experience wasn’t picture perfect. My expectations of a three-star meal, transcend beyond the usual expectations of fine dining environments. There’s supposed to be something unique, instead of a worn out Celebrity Chef. Ripert can cook a lot of people under the table and his personalty and palate is quite discerning when it comes to upcoming Chef-testants. However two of the dishes lacked impact and felt like throwaways possibly due to the lack of time to oversee the finer details in menu planning. It’s expected once you reach and certain platform and the pressure can get to you at anytime. So only time will tell, if the newer chefs who made the 2014 Michelin Star Guide lists will be able to step up to the challenge of next level cookery (in reference to Chef Lee’s Benu in SF and numerous others). Halal Guys, didn’t I say I would visit this place? 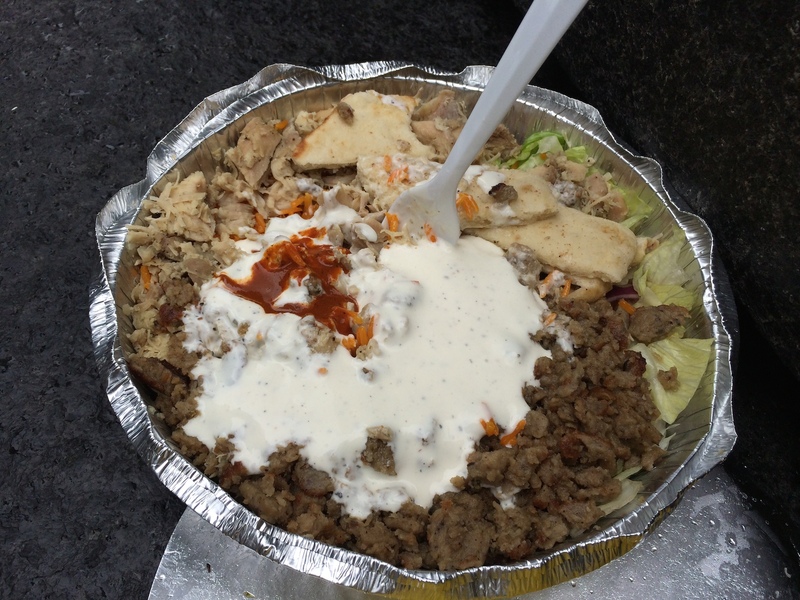 Halal Guys needed to be visited and experienced once and for all. As you recall, from my last NYC issue, this was all about creating closure and coming full circle. The halal plate is the truth, chicken and lamb was created solely for the purposes of feeding tourists before they got artsy fartsy within the confines of MoMa. 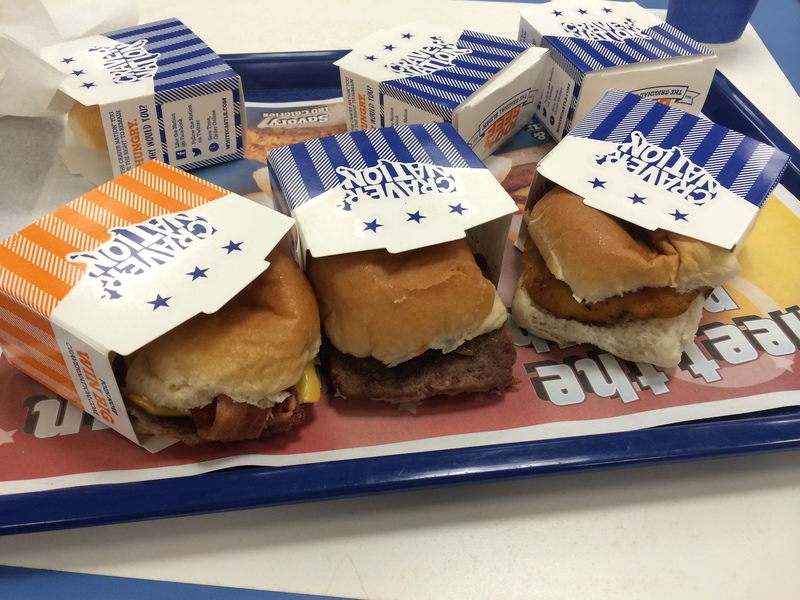 As for White Castle, they’re so much better fresh as opposed to getting the sliders freezer burned or barely lukewarm after reheating them in the microwave. Overall, this visit of NYC like the last one was much more necessary but on a more intimate level. When you get older, one expects a sense of clairvoyance when it comes to dealing with life’s pressing issues. However as one finds out, the more you travel and discover, you realize how precious life really is and how easy it can be to get lost into the illusion of wandering astray for the sake of temporary happiness. I know one thing’s for sure, NYC definitely holds a place in my heart not just for the gluttonous feasts and roisterous moments as a human being in this highly condensed chain of exalted new jack attitudes. To be humbled, hungry, and at peace within a second home: that my friends and family is my appeal to you all to travel, to the second biggest melting pot within the U.S. Loved the part about wine pairings and taste isolation. If you’re ever in NYC again, hit me up. We could session and food hop!